A trading tool optimised for cryptocurrencies. 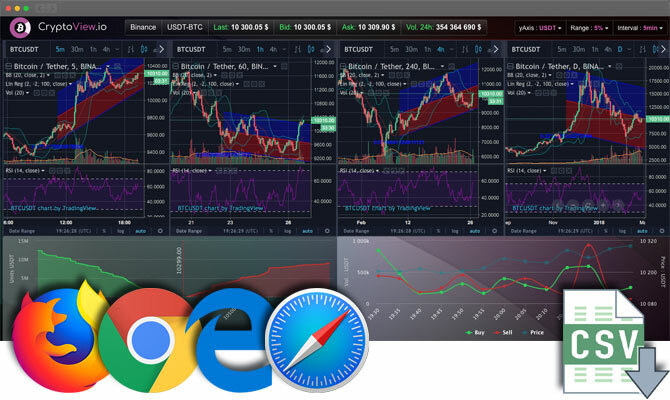 Cryptoview collects real-time data from largest trading platforms of the cryptocurrencies markets and simplifies all trading strategies. Our scanners detect the best opportunities based on price, volume, Order Book or RSI variations. 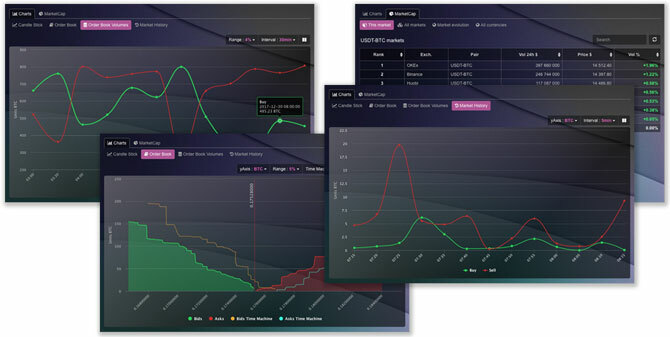 Our charts allow a better and faster analyse of our scanner's results. 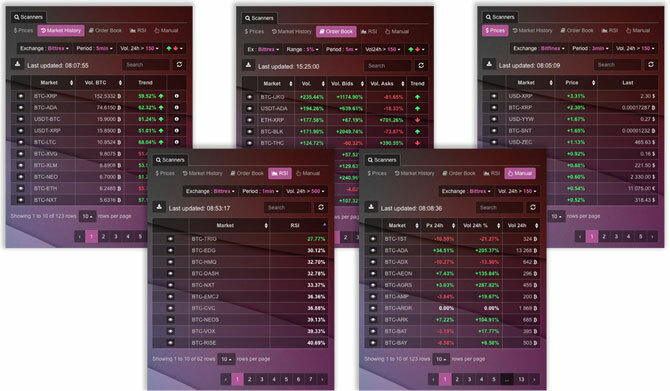 Our All-In-One allow users to quickly analyse the order book, trading history and price in four different timelines. Most experienced crypto traders might want to use one of these charts to keep an eye on Btcoin's price. Everything a professional trader needs is just a click away, optimising time usage. A tool in constant improvement. We're actually working on many other tools that will be added after testing and validation from our team. Every evolution will be announced on our social networks. Among these, the integration of new crypto marketplaces, trades, alerts and many more surprises! Let our scanners filter all markets of your favorite exchange for you. Pick and study the opportunities with our exclusive analyzers. exceeded by this huge amount of variables to watch ? under equipped with the basic tools offered by trading platforms? how to know the best price variations on the last 5 minutes? how to find the biggest buy or sales volumes in the order book the last 3 minutes? how to spot the largest volume changes on trades made the last 15 minutes? which markets had an RSI in overbuy or oversell the last 5 minutes? would it be easy to analyze the history of trades with a graph rather than a long unreadable chart that changes every second? would it be interesting to be able to go back in time with an Order Book to analyze its variations? would it be clever to mix the order books of the same market on multiple platforms? wouldn't it be good to generate a whitelist / blacklist from a fresh market analysis? It is to answer all these questions that we created Cryptoview.